Kate Garnett, school librarian at Elizabeth College in Guernsey, is a very lucky lady! Due to close collaboration with her DT department, she was able to commission an A2 student to make this fabulous iPod Pod for her library. 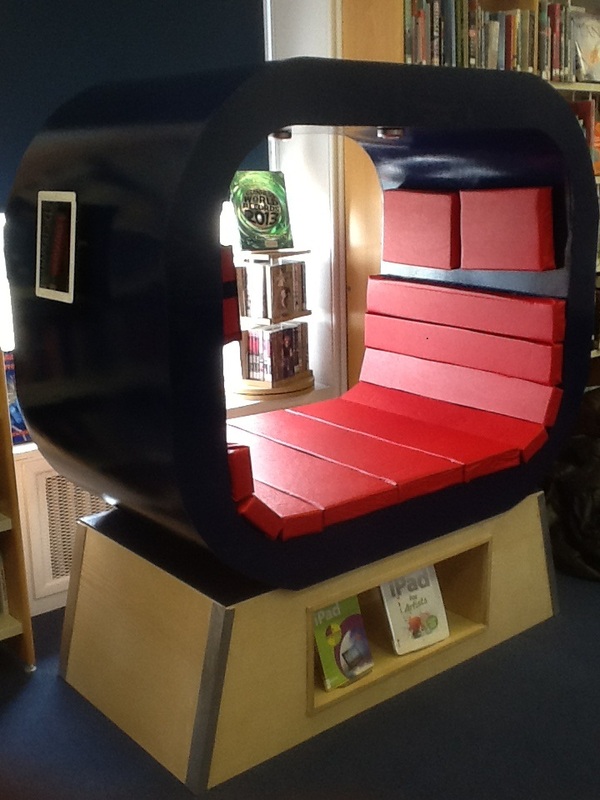 Anyone else have customised furniture built by students – and if so, what? I would love to feature photos on Heart if you have them. Another great video from school librarian Lenny Dutton. This great video is produced by school librarian Lenny Dutton.